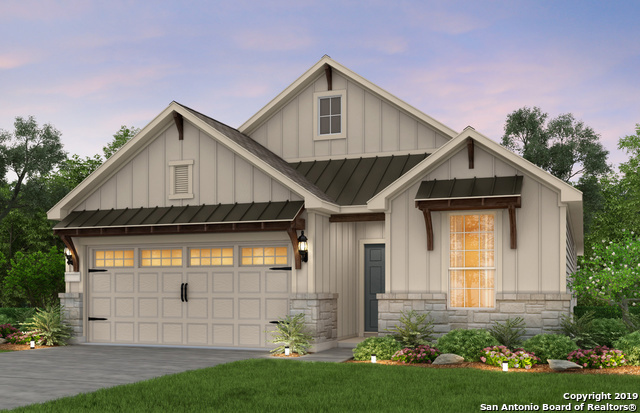 All THE PRESERVE OF STERLING homes currently listed for sale in San Antonio as of 04/22/2019 are shown below. You can change the search criteria at any time by pressing the 'Change Search' button below. "The Riverdale has a downstairs made for entertaining and an upstairs with loft space and additional spacious bedrooms. Open living and dining spaces on the first floor are an entertainer's dream, while the covered back patio provides even more room for fun. The island kitchen has abundant cabinet and counter space, and the first floor laundry room features practical storage in a convenient spot." "The Fox Hollow is known for abundant storage space, with walk-in closets in all bedrooms and a huge pantry in the kitchen, perfect for bulk purchases. Home includes the backbone for the Pulte Smart Home. Please contact onsite sales counselor for more details."